Paul Simon's 'In The Blue Light' Seeks Redemption In Revision In the Blue Light features ten recordings of old works, newly considered. 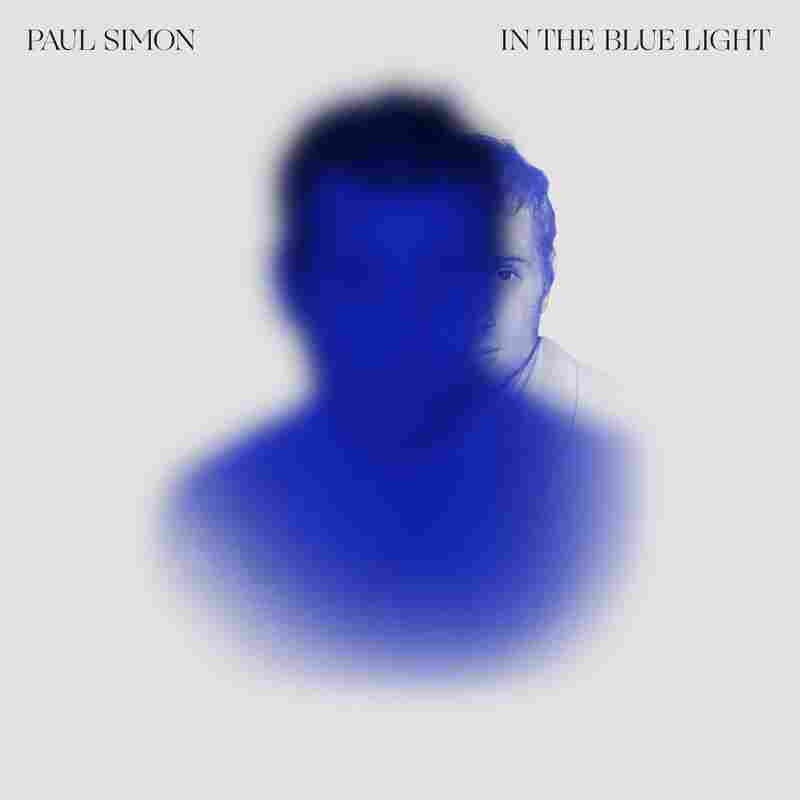 Paul Simon's In the Blue Light comes out Sept. 7. 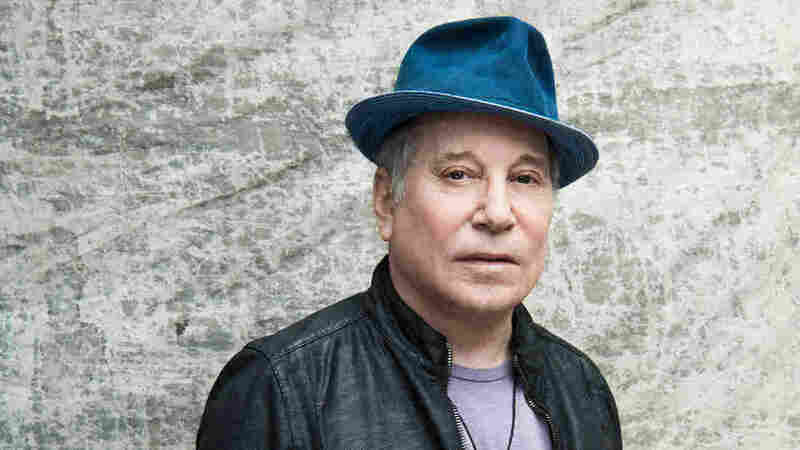 On his 2011 album So Beautiful or So What, Paul Simon released a track called "Rewrite." Like the vast majority of the venerable singer-songwriter's work, it's a character study shot through with elements of autobiography. The song's working-class Vietnam vet tinkering with a screenplay after midnight is clearly not our contented, culture-shaping millionaire pop star. Yet Simon, too, is a rewriter, more interested in placing his New York City-bred poetics within new musical settings as with crafting monuments to his own genius. The most telling moment of "Rewrite" (a song with lyrics that Simon first published in 2008) is a tiny moment in the chorus when Simon makes the sound of inspiration striking: "Help me, help me, help me, help, me, woooo, thank you!" he sings, that non-verbal whoop the sound of the artist's hard-won miracle — finally getting things right. "Rewrite" isn't included on Simon's 14th solo album In the Blue Light, but the song's core message about revision's redemptive potential permeates the project. The album features ten recordings of old works, newly considered. In his liner notes, Simon says he chose "songs that I thought were almost right, or were odd enough as to be overlooked the first time around," from 1973's oft-quoted but less-heard "One Man's Ceiling is Another Man's Floor" to the widely cherished 1983 deep cut "Rene and Georgette Magritte with Their Dog After the War." The track listing is whimsical. Some fans may wonder, for example, why In the Blue Light features three songs from 2000's You're the One while ignoring both Simon's self-titled debut and his classic Graceland. Others may sense a certain commonality among these meditations – a blend of melancholia and late-in-life wisdom-spinning. Yet the album's mood is not heavy. Simon, one suspects, is still less interested in making a sweeping statement than in that little whoop of inspiration, which he finds time and time again by trusting new collaborators to help him rebuild his stories until they gleam and go. Those collaborators are, as always with Simon, uniformly notable. Some are friends he's made fairly recently: the guitar polymath Bill Frisell played on Simon's excellent 2006 album Surprise, while Wynton Marsalis presented Simon's songbook with the Lincoln Center Orchestra in 2012. (Jazz players abound here, including the saxophone player Joe Lovano and the drummer Jack DeJohnette.) Others – the New York-based chamber ensemble yMusic and The National's composer-indie rock bigwig Bryce Dessner – have helped facilitate Simon's experiments with art song that marked his farewell tour. By choosing jazz and so-called "new music" as his frames, instead of earlier reference points like Afropop and salsa, Simon cultivates a contemplative mood. The arrangements are more mostly more pensive in tone than the originals; easing his grip on the joyful engines of the African diaspora, Simon trades rhythmic and melodic abundance for space to think. Yet within these wider spaces, with their feeling of clearer air, Simon remains playful. His reworking of the Orwellian satire "Pigs, Sheep and Wolves" blessedly loses the jive talk of the original from You're the One, with Marsalis' Preservation Hall-style horn arrangement staying in the background. But the song still swings. So does the heartrending "Darling Lorraine," though its flow is distilled to a shimmer. This new version, which features both Frisell and yMusic, is particularly poignant for including elements of a guitar part by the late Vincent Nguini, the Cameroonian master who played with Simon nearly until his death in 2017. One wonders if, perhaps, Simon's turn away from African sounds is partly due to grief at the loss of this longtime collaborator. Revision itself involves a kind of death, even a killing – of old ideas, or at least frames for them. The pain of recognizing old limitations leads to the pleasure of better representing one's intentions – the novelist and habitual tinkerer Henry James called rewriting the chance "in a manner to retrace the whole growth of one's 'taste'... his active sense of life" – in the light of a different moment. Devoted Simon fans will find lyrics reworked here, an unusual act from a legendary writer: the blues band who symbolized the distractions of the day-to-day in Simon's whimsical meditation "Love" is now a DJ whose "sub-bass feels like an earthquake," and the redemptive howl on the word "fall" that ended "Some Folks Lives Roll Easy" has been traded for a stark image of a lonely soul gazing from a window to a wall. Those tweaks further realize the goal of In the Blue Light to present Simon's work as a form of art song, with every metaphor in resonant place. The great care Simon has taken with every line, as it's written, smartly arranged, and deftly sung in a voice still limber and game for the high notes, makes this more than just another late-career bid for symphonic Pop-style credibility. Simon earned that credibility long ago with his deeply American tales of immigrant hopes, average men's escapes and happy-enough family reunions. The songs he's chosen here, free of the baggage inevitably borne by his bigger hits, allow him to reconsider these foundations of his Jamesian "taste" without having to be burdened by his own legend. "It all comes back to that – to my and your 'fun,' if we but allow the term its full extension," James wrote to his readers about the process of revision, which he also called "re-dreaming." Or as Paul Simon might say, "Woooo, thank you!"